Who says Peyton Manning can’t play in the cold? 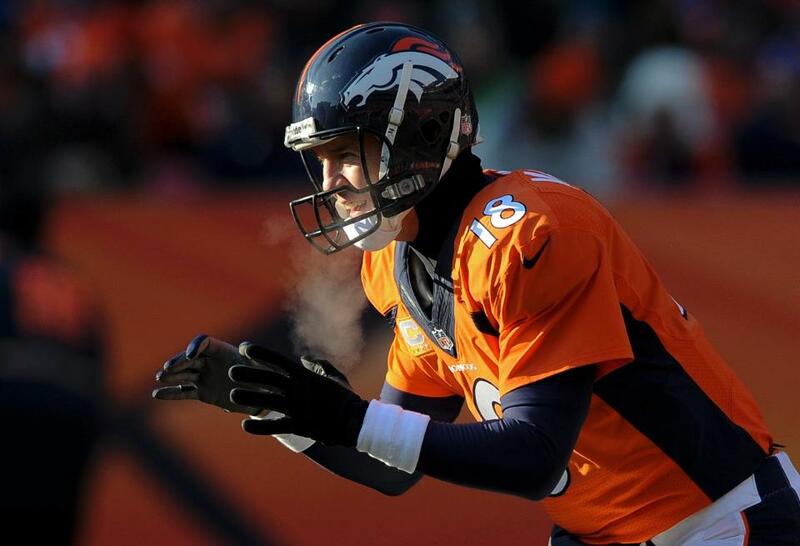 The Broncos defeated the Titans 55-28 with 90 plays in a frigid 14 degree Denver. It doesn’t get much colder than that! Manning passed for 397 yards including four touchdowns and broke a franchise record with 39 completions. Yeah, he’s terrible in the cold! Matt Prater and Julius Thomas also broke records in today’s win. Prater made NFL history with his 64-yard field goal. Thomas’ 11th season touchdown reception broke Hall of Famer Shannon Sharpe’s record for Most Touchdown Receptions by a Broncos Tight End. With this come from behind win, the Broncos clinched a playoff berth for the third straight season. It was Coach John Fox’s grand return after heart surgery sidelined him for four games. Denver takes on San Diego on Thursday Night Football.